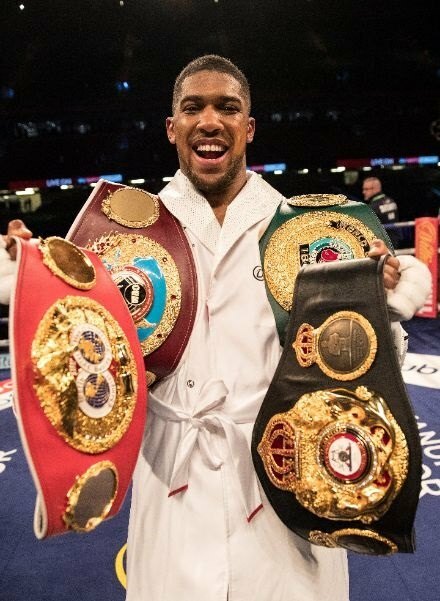 Anthony Joshua took another step towards becoming the ‘Undisputed Heavyweight Champion of the World’, after adding Joseph Parker’s WBO belt to his IBO, IBF and WBA titles. Parker, 26, took Joshua the distance for the first time in his career with a valiant effort in front of a packed Principality stadium in Cardiff, but could do little to stop the British heavyweight on his quest for boxing’s most coveted title. The judges scored the bout unanimously in favour of AJ – 118-110, 118-110, 119-109 – who remained disciplined throughout the contest and controlled the New Zealander with his jab. 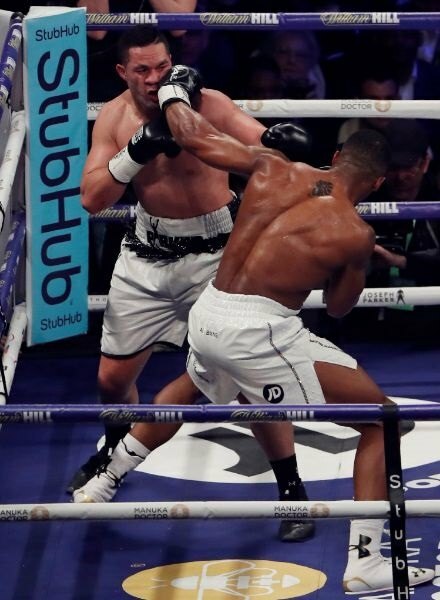 “The old saying is, the right hand will take you around the block, but a good jab will take you around the world,” Joshua said in his immediate reaction to extending his record to 21-0. Commanding the centre of the ring from the opening bell, AJ stalked Parker and was able to use his reach advantage to keep the former WBO champion at bay. Parker demonstrated great speed and tenacity from the outside but failed to close the distance and cause the damage needed to trouble Joshua. The blueprint for Parker was laid out by Alexander Povětkin, whose explosive bursts negated David Price’s reach advantage, in his fifth round knockout win. Albeit Parker’s attributes are more reliant on speed, as opposed to Povětkin’s explosive punches, and Price, for all his size and power, lacked the fitness, conditioning, and footwork of the unified heavyweight champion, as well as a consistent jab. From walking out to Eric B & Rakim’s Paid in Full with the opening line “thinking of a master plan,” to the post match interview in calling out Deontay Wilder, the event had been diligently planned. In the build-up to the fight, AJ had talked about how he “blew a gasket” against Wladimir Klitschko after initially thinking he had secured an early stoppage, only to run out of steam in attempting to finish the Ukrainian, before hitting the canvas himself. Luis Ortiz looked to have run out of gas against Deontay Wilder, when he went for the finish after rocking the Bronze Bomber in the seventh round, which ultimately led to the Cuban’s first defeat. At the Principality, AJ conserved his energy and looked strong throughout the 12 rounds, giving Parker no opportunity to interrupt his goal of becoming the ‘Undisputed Heavyweight Champion of the World’; only Wilder’s WBC heavyweight belt remains for a clean sweep of the division’s major titles.